“Public lands should be open to all Americans. It is shocking to see self-proclaimed defenders of public lands in Congress vote to perpetuate a permanent ban on bikers, parents, the disabled, or certain hunters from accessing public lands. I’m proud to stand with Rep. McClintock in fighting for American citizens who are tired of government officials telling them they can’t enjoy our nation’s public lands,” said House Committee on Natural Resources Chairman Rob Bishop. Throughout our history, non-park federal lands have been available for a variety of activities, from recreation and grazing to mining, energy development and forestry. These principles are embodied in the Multiple-Use Sustained-Yield Act of 1960, in which Congress established that national forests are to be used “for outdoor recreation, range, timber, watershed, and fish and wildlife purposes. 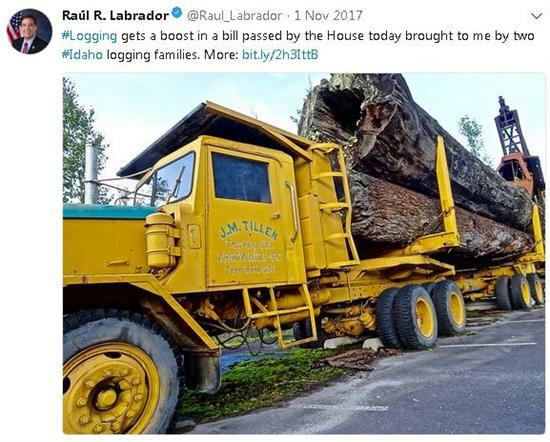 "In recent years, a string of statutes and regulations have negatively impacted the ability of these sectors and others to make economic use of many public lands. Restrictions due to endangered species, historic preservation requirements, and other heavy federal impositions eroded the principles of multiple use, and harmed the economy of our states. Revenues generated from grazing, mining, timber operations and recreation are a result of multiple use. Further, these sectors are the economic engine for hundreds of local communities that would disappear if their ability to responsibly and beneficially use these lands for were removed. Out-of control wilderness designations, an exploding number of areas of critical environmental concern (ACEC), and efforts to prohibit mining and grazing on public lands continue to put multiple use of our federal lands at risk. Each Congress dozens of bills are introduced that would further erode multiple use of federal lands. The Caucus will continue to oppose such legislation while supporting efforts to promote hunting and fishing opportunities, and support other recreational activities such as snowmobiling, skiing, and responsible off-road vehicle use on federal lands. Members of Congress and the federal government are constantly faced with the challenge of finding a balance between protecting federal lands and making them available for public use. This concept is known as the multiple-use doctrine. Public lands must be managed in a manner that protects the quality of scientific, scenic, historical, ecological, environmental, air and atmospheric, water resource, and archaeological values; that, where appropriate, will preserve and protect certain public lands in their natural condition; that will provide food and habitat for fish and wildlife and domestic animals; that will provide for outdoor recreation and human occupancy and use; and that recognizes the Nation’s need for domestic sources of minerals, food, timber, and fiber from the public lands by encouraging collaboration and public participation throughout the planning process. No reasonable person can disagree with this management strategy. It is a simple fact that we must balance desires to preserve land with our need for food and natural resources. Unfortunately, there are extremist environmental groups who do not support the multiple use doctrine for public lands. Instead, they believe that public land should be closed to essential human activities. We must manage our public lands responsibly in order to ensure water quality, wildlife habitat and the multiple-use of our public land base. We need our public lands to be used in a way that appeals to all of our citizens, not just a single group. The Western Caucus believes our public lands hold great benefits for all of us, and the ability to use these resources in an environmentally friendly manner is imperative to ensure their long-term vitality and economic growth. Multiple-use is a key element of responsible public lands management. H.R. 3668, introduced by Western Caucus Member Jeff Duncan is a package of eighteen bills that aims to increase opportunities for fisherman, hunters, and recreational shooters. The bill embodies the multiple-use doctrine and threads the needle on increasing access while still preserving our scenic beauties. This legislation has passed the House Committee on Natural Resources. To read more click HERE. H.R. 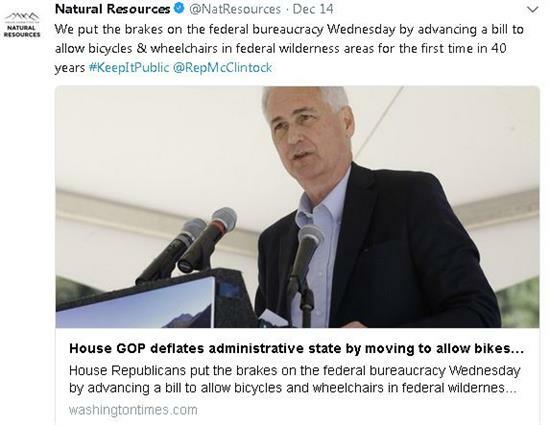 1349, introduced by Western Caucus Member Tom McClintock seeks to ensure bicycles, strollers and motorized wheelchairs can access federal lands. In certain areas these activities have been prevented due to fundamental flaws of the Wilderness Act that contradict the multiple-use doctrine. 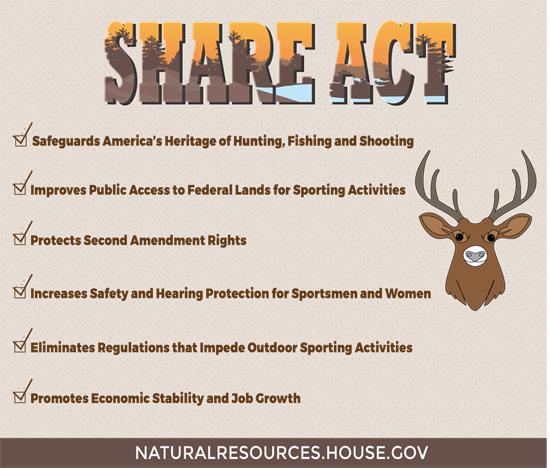 This legislation has passed the House Committee on Natural Resources. To read more click HERE.